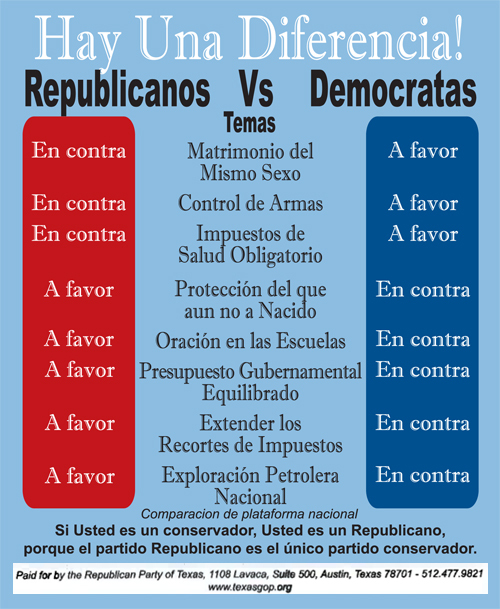 Republicans vs Democrats: There is a Difference! Latinos are the fastest growing segment of our society. This year alone, more than 600,000 Latinos born in the USA will celebrate their 18th birthday and will become eligible to vote! Most of them are Catholic. Most of them want to work, and are not looking for a Democratic handout! 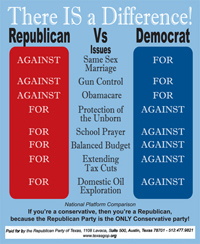 This comparison of Republicans vs. Democrats makes it very clear who they should vote for! 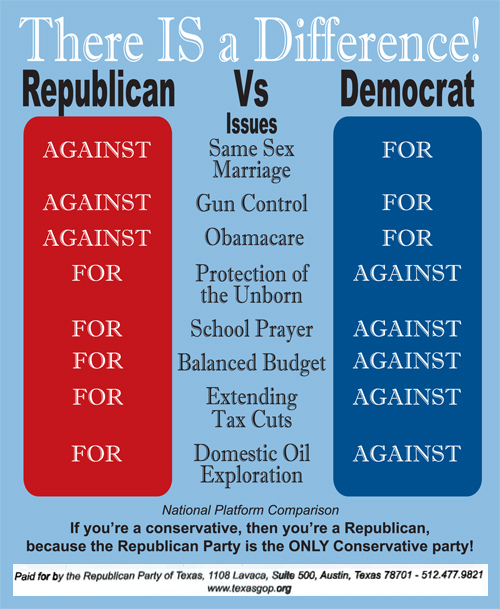 Please reproduce this comparison and show it to every person you know!